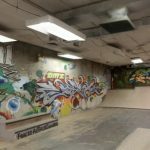 Getting Ready For 2019 In Canadian Skateparks! 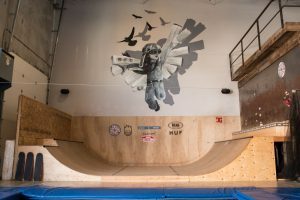 Canada Skateboard: Not your typical governing body! 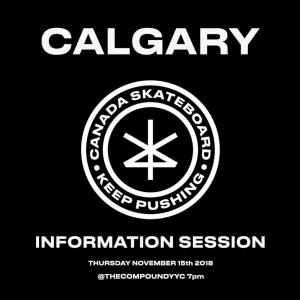 This past week Canada Skateboard with CASE hosted an information session at The Compound Indoor Skatepark in Calgary. 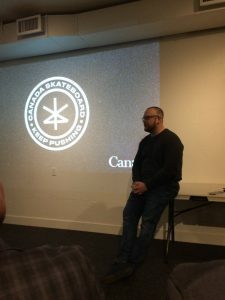 About 30 skaters listened to Vice President Kyle Dion tell the Canada Skateboard story and share plans for skateboarding in Canada. Every Olympic country needs a governing body for skateboarding. 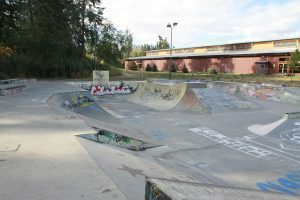 In some countries there are battles between skaters and other sports organizations to be the skateboarding governing body. 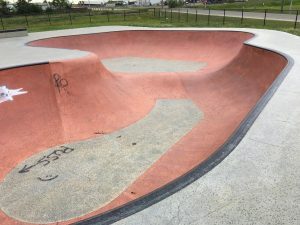 If the skaters that founded Canada Skateboard hadn’t stepped forward, decisions about who skates for Canada and how they are chosen could have been made by people who have no clue about skateboarding or skate culture. Kyle Dion, Canada Skateboard VP Presenting to Calgary skaters. This board will manage Canada Skateboard until board elections can be held. Many skateboarders see skateboarding as a lifestyle, not a sport, and don’t think skateboarding should be in the Olympics. That ship has sailed and no matter what the skate community thinks, someone will win Olympic medals in skateboarding at the Olympics. 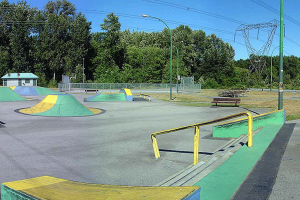 Skateboard Canada was formed to make sure that decisions about Canada’s skate team would be made by Canadian skaters. Who knows better than skaters, who should be considered for the team spots and the money that goes with it? 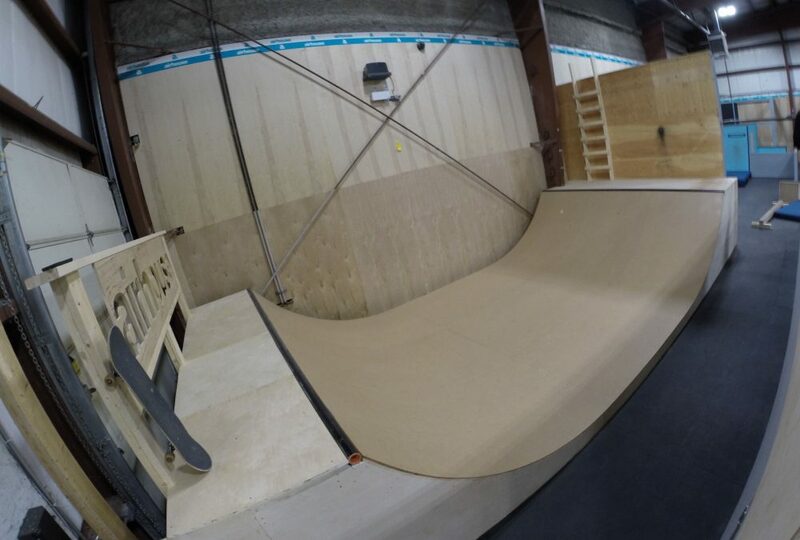 Building skateboarding will be the most important priority for Canada Skateboarding. 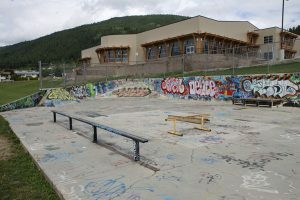 They will work with local skate organizations to grow skateboarding from the ground up while providing opportunities for those who want to compete at the Olympics for Canada. 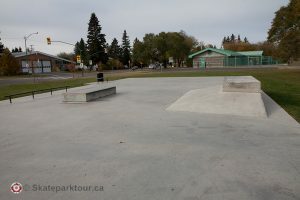 Canada Skateboard will have more information available in the new year, including a website. If you have questions about Olympic skateboarding or Canada Skateboard programs, please be patient. 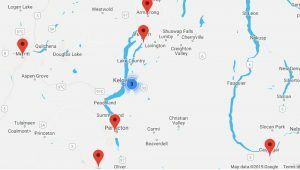 Plans are being developed in both in Canada and at the international level, and Canada Skateboard will have more answers to share in 2019. Canada Skateboard will be a great addition to the Canadian skate scene. 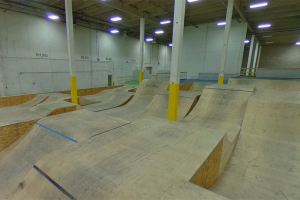 They are laying the foundation for an organization that will grow skateboarding in Canada. 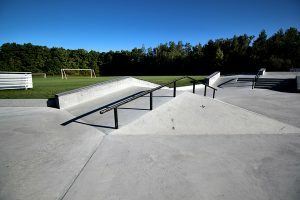 Skaters that want to compete internationally will have amazing resources and opportunities to help reach their dreams, but the focus of Canada Skateboard will be on grass roots skateboarding. 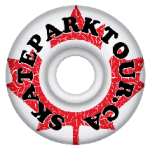 Skaters everywhere should be sure to join Canada Skateboard when they launch in 2019. 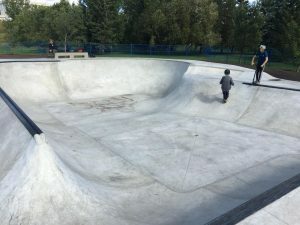 Our friends at Edmonton’s Castle Downs Coffee Crew took a road trip north and shared pics from the Clairmont Skatepark and the NEW Muskoseppi Skatepark in Grande Prairie. 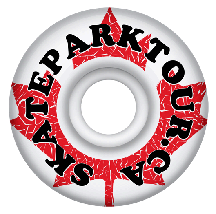 This brings Skateparktour.ca to 175 skateparks in 5 provinces! 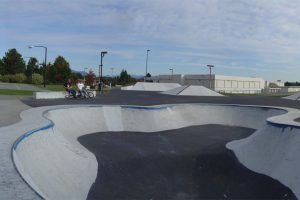 The bowl at the Clairmont AB Skatepark!